Gold futures moved lower in Asian hours on Tuesday as investors turned their attention to possible comments by US Vice President Mike Pence on the North Korean conflict. The leader is expected to give a speech in Tokyo later in the day, as he moves forward with his Asia tour. On the Comex division of the New York Mercantile Exchange, gold for June delivery was down 0.48 percent to trade at $1285.70 a troy ounce as of 06:30 GMT. The yellow metal settled in green territory on Monday, with geopolitical tensions still fueling speculation on higher prices. Last week, gold posted its best week since June, clearly supported by political uncertainty as North Korea conducted a failed missile test on Sunday. Yesterday, Pence said an “era of strategic patience” with Kim Jong-Un’s regime was over and that the United States is ready to engage in response to further provocations. In economic news, the Empire State manufacturing index decreased to 5.2 April, falling short from expectations of 15 points reading. A rebound of the US dollar weighed on the precious metal, pulling it back from a 5-month peak last session. Bullion is a dollar-denominated commodity, which is very much dependent on the greenback’s dynamics as it increases its appeal in foreign markets. Today, investors will keep an eye on fresh economic reports, such as building permits, housing starts and industrial production. Oil prices eased in Asian trade on Tuesday, with market players focusing on remarks by US Vice President Mike Pence in Tokyo regarding the ongoing tension with North Korea and in anticipation of an industry report on crude stockpiles. US West Texas Intermediate oil futures traded at $52.59 a barrel on the New York Mercantile Exchange, down 0.11 percent from its prior settlement. The international Brent crude oil futures fell 0.11 percent to trade at $55.30 a barrel as of 06:30 GMT. On Monday, Pence visited South Korea on Monday, where he said that an "era of strategic patience" with North Korea was over, fueling speculation for further escalation of this conflict. The American Petroleum Institute is expected to release its weekly report on crude and refined product stockpiles late afternoon on Tuesday. Analysts forecasted a 1.5 million barrels decline in crude, a 0.96 million barrels drop in distillates and a 2.0 million barrels drawdown in gasoline. Official data from the US Energy Information Administration will be available tomorrow. Last week, the agency said crude inventories came down by 2.166 million barrels. Crude benchmarks settled higher on Monday, with investors keeping an eye on OPEC-led output cuts and the possibility of extending them for another six months this year. 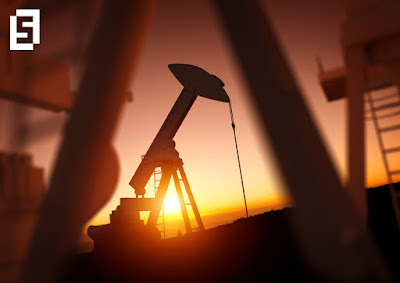 OPEC representatives will gather this weekend to discuss this topic, although the final decision on the matter will be taken on May 25, according to internal sources. Saudi Energy Minister Khalid al-Falih said on Monday that it was too soon to make comments on whether the multi country agreement will be extended. Last year, OPEC and non-OPEC producers agreed to cut 1.8 million barrels from global oil supply in order to prompt up prices and rebalance supply levels.